Just scrap the passes! They're abused by many of the people who have one. You get all these elderly people going up to North Norfolk just for a ride on the coasthopper. What gives them more of a right to the pass? 45 years of paying taxes and contributing to society maybe? 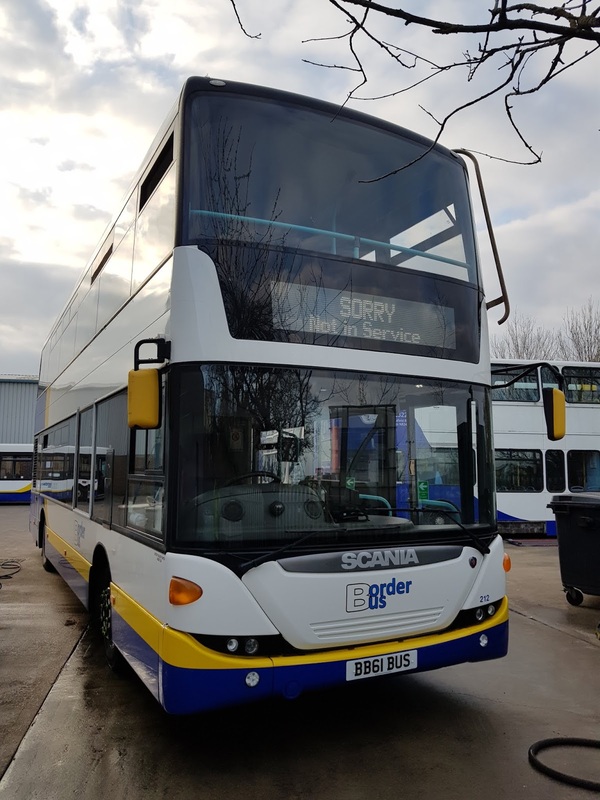 Should we consider the formation/support of a Bus Users Group pressure group to support the 99A/522/524 before they start operating rather than once they're being withdrawn for lack of use, for a change? I'm not sure that my experience over the last half century is that we can trust the councils with protecting or maintaining ANY public service, at all? Do they try to live up to any standards, for anything? Never stopped us before, though. Sorry; I think the local elections make BA difference (= playground games), and where Councils like Herts/Essex/Kent have maintained support for buses it's because they've been persuaded they won't be allowed to get away with it, otherwise (locally see the 31/33/37/66 and North Herts/South Cambs - various). Does anyone care about anything enough to do anything in Suffolk/Norfolk/Cambs though? I don't really care why the passengers turn up, what for or where they come from, as long as they do! Make the most of whatever you have: seaside, countryside, or the hospitals, hairdressers and shops!! I am confident the 522/524 will be successful, in fact I'll stick my neck out and predict extra journeys in a year's time. On the other hand I fear for the 99A. Slashing an hourly service to 5 journeys a day and making a point of not guaranteeing connections is a step backwards and I can't see it being used. The Suffolk DRT service cost between £316 a day and £740 a day which is just crazy. Galloways answer was the Smart cash card. Unfortunately,they brought this out just as everyone started going contactless which pretty much made it out of date before it even started!! And you still need cash to top it up because you can't top it up online!! nope. Galloway don't have contactless. Whether Stephensons have it, i don't know. Maybe somone knows? smurfuk in my own opinion both councillors and the big bus groups all have the same standards (or lack of them) regarding services . Unfortunately the UK is run on a greed basis with the "I'm alright Jack " attitude winning . More protection should be given to those smaller companies that are trying to provide a good customer based service . They don't seem to have the corporate b**ls**t. Their listen to both the passengers and staff is surely worth more than half hearted attempts by the big boys .Letting them develop is the only answer . Contactless is good for the cash-less traveller. I often travel without any cash and have to rely on my card. Saves the driver getting in a huff when they're forced to break a £20 too! With regards to the ENCTS bus pass no longer being accepted on the Connecting Communities service - tough luck, in my opinion. Surely it's better to have a bus service and have to pay for it (I'm sure it's low cost) than to have a bus pass and no bus service! There's an ever decreasing pot of money for socially necessary bus services and operators are receiving less and less for carrying ENCTS passengers. The cost of the service needs to be met somehow and I don't think it's unreasonable to expect the passengers to be burdened with the cost - they are after all the ones using the service! Finally, it might seem like a no-brainer to utilise a school bus (between school duties) to run a community bus - however "proper" bus drivers will be paid more, the buses will use more fuel and require more maintenance, etc. All of this means that the service will be a lot more expensive than if it were operated by a community provider with a van - especially if that van is driven by a volunteer as is often the case! I agree with your comments on the 522/524 and 99A Steve. 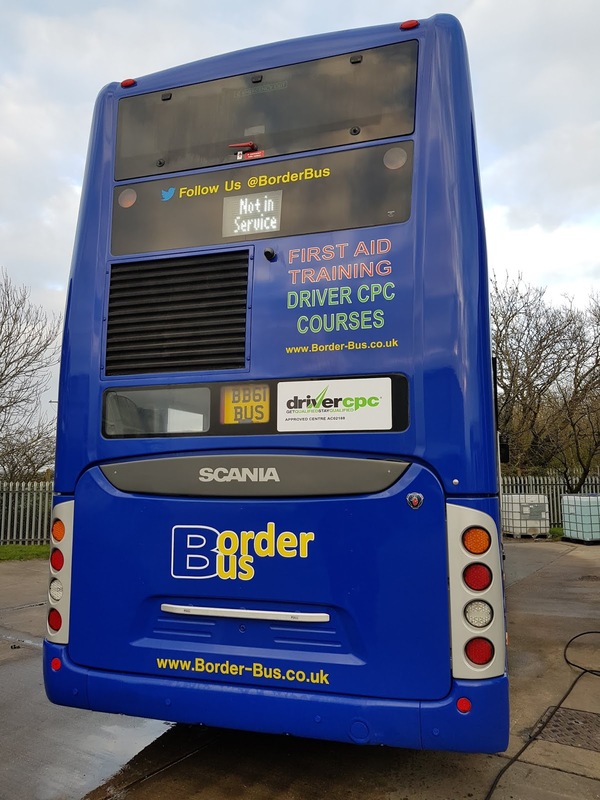 Borderbus quite obviously operate their services for the convenience of the passengers. It shows. First too often don't, but for their own convenience, doubtless at a Head Office diktat. If only some accountants could learn to appreciate the difference... and that could mightily help the rail industry too. Quote" I asked about the legality of that, since Connecting Communities is registered as a local bus service. However, and I was told this with a straight face, because they are bookable (they HAVE to be booked) that makes them the same as National Express so they don't have to accept passes. That's right, Mrs Miggins going from her tiny hamlet to get her hair done in Saxmundham is the same as Auntie Gladys getting the coach from London to Plymouth."